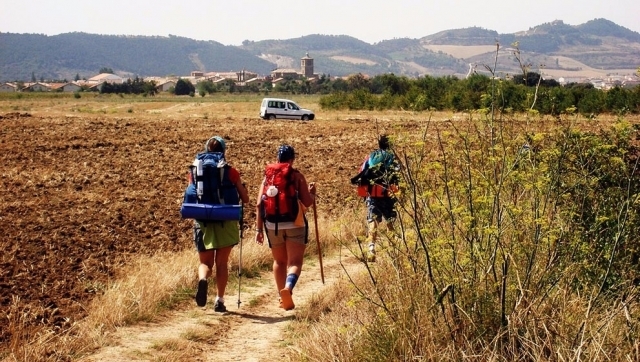 In a meeting with cultural agents in the city of Pontevedra, the president of the Culture Committee in Congress and deputy of Citizens, Marta Rivera, has referred to the Camino de Santiago and empowered other ways besides the French Way. The deputy, who was accompanied by the candidate for President of the Xunta, Cristina Losada, said that the party has been marked as a roadmap in order to "promote and give greater visibility" to alternatives to French routes, "he can no longer give much more of himself" and that is "saturated". Marta Rivera, without specifically referring to any route, ensures that these alternative paths have great tourism and cultural potential that is not being exploited, besides having a great architectural richness that is not being exploited. Through the Culture Committee in Congress, which the deputy is president, C's affirms wants to boost the project Ciudades de la Romanidad, preparing "a map of Roman landmarks" throughout the peninsula, where Galicia would have an essential role its vestiges. La saturación en mi opinión es algo malo, pero también bueno. Te das cuenta de la enorme cantidad d gente q hace el camino. Esperamos con este movimiento dar cabida, como dice Pepe AM, a ese público que todavía no es peregrino de verdad, que prefiere algo de comodidad, pero que luego puede sentir esa llamada y reconvertirse a PEREGRINO. Que el francés esta saturado? Evidentemente sí, al igual que el portugués. Sin embargo, qué es más interesante, saturar solo el francés y dejar el del norte o el primitivo para otro tipo de públicos, o saturarlos todos a la vez? Yo creo que lo mejor es saturar los más turísticos, y dejar el resto para los peregrinos de verdad.